"The Persistence of Memory" by Spanish surrealist artist Salvador Dali, was created in 1931 and used oil on canvas. Dali sometimes referred to his paintings as "hand-painted dream photographs" and this painting can definitely be characterized as this. 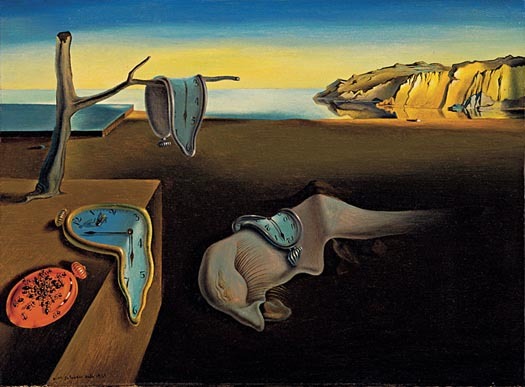 Some art historians thought that the painting may be a visual depiction of the idea behind the Einstein's theory of relativity, that time itself is relative and not fixed. I personally like that he uses the colors of faint brown, yellow and different blue colors to create this painting. This painting is only 9 1/2 by 13" inches.